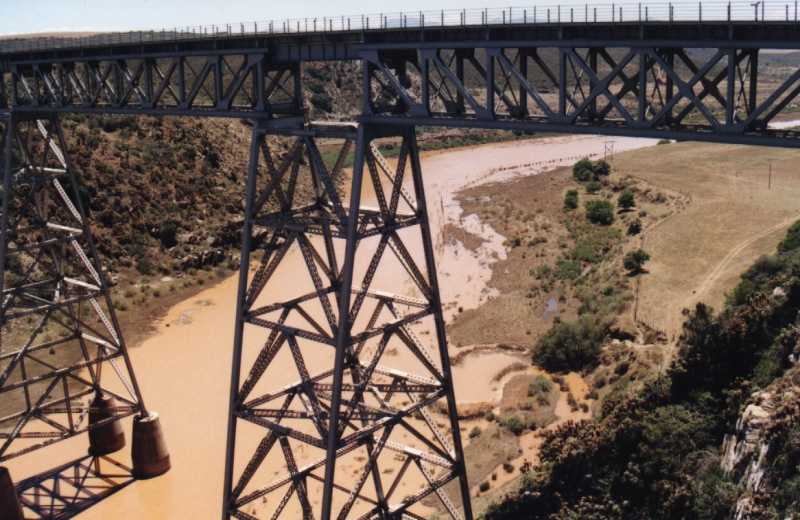 You are in the middle, and you are about to bungee jump between the two! 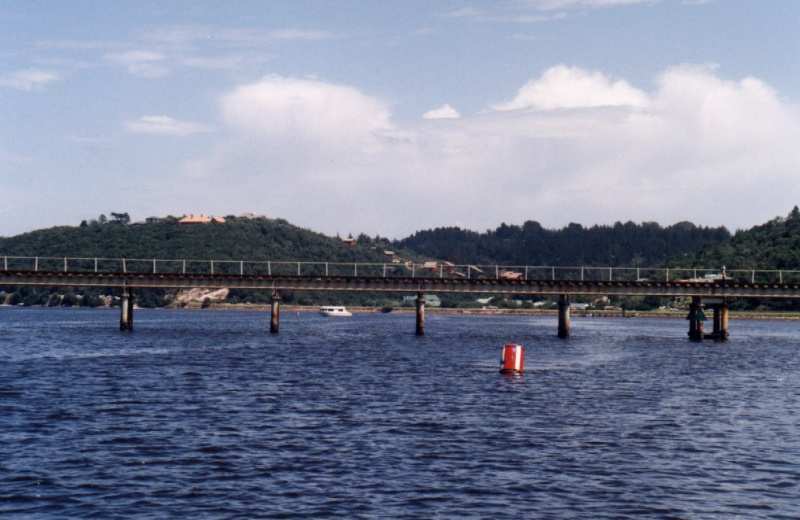 Remember this bridge, we're going to come back here on a steam train! 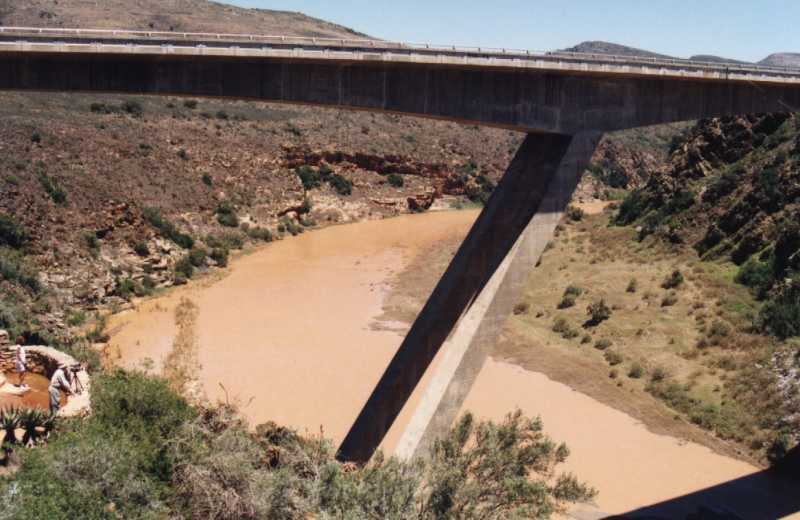 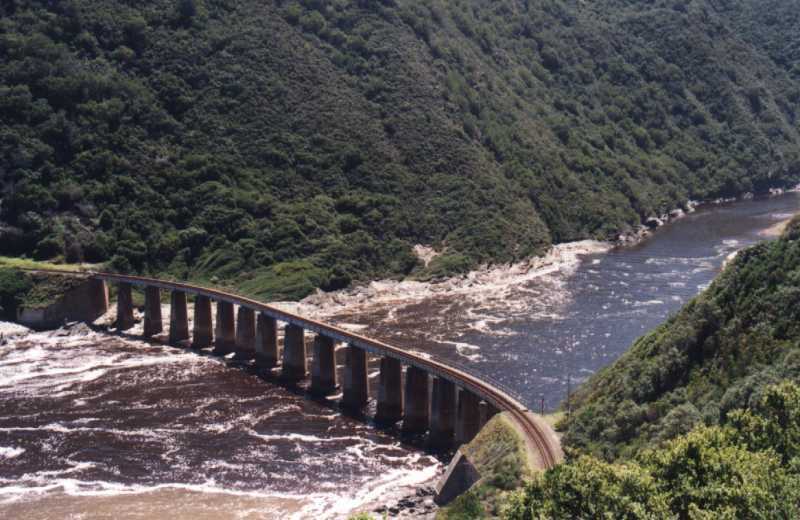 with info on the "Outeniqua Choo-Tjoe" train. 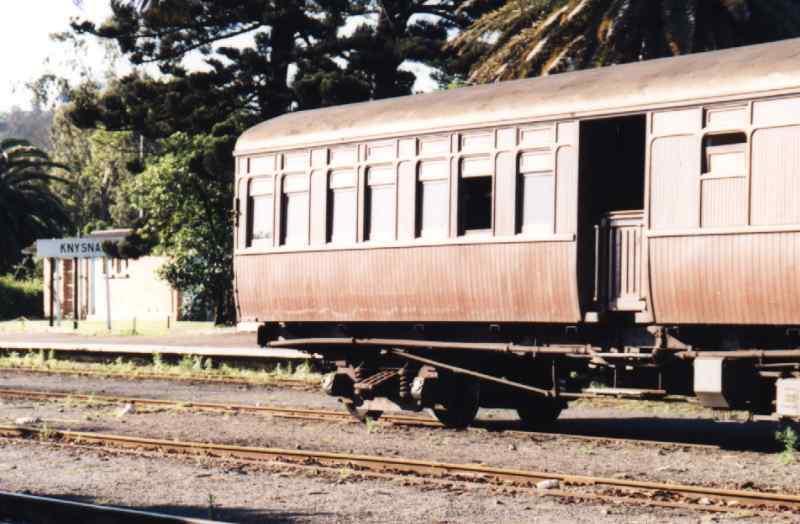 No this isn't derelict, it's our transport tomorrow! 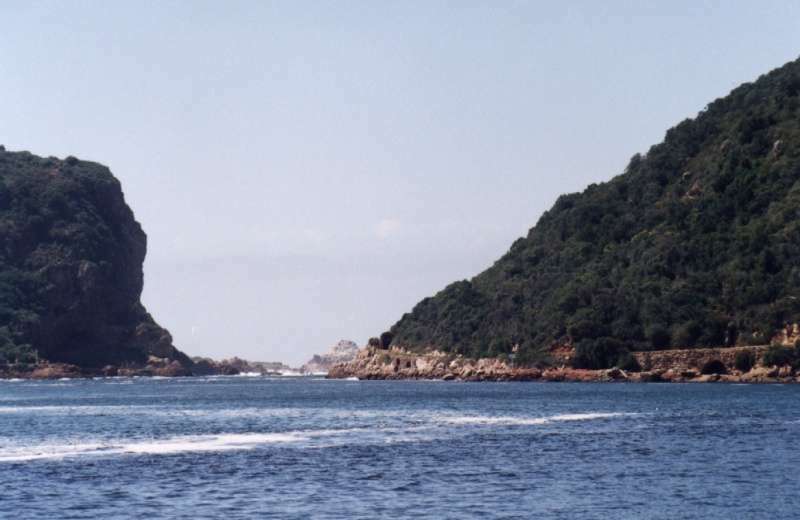 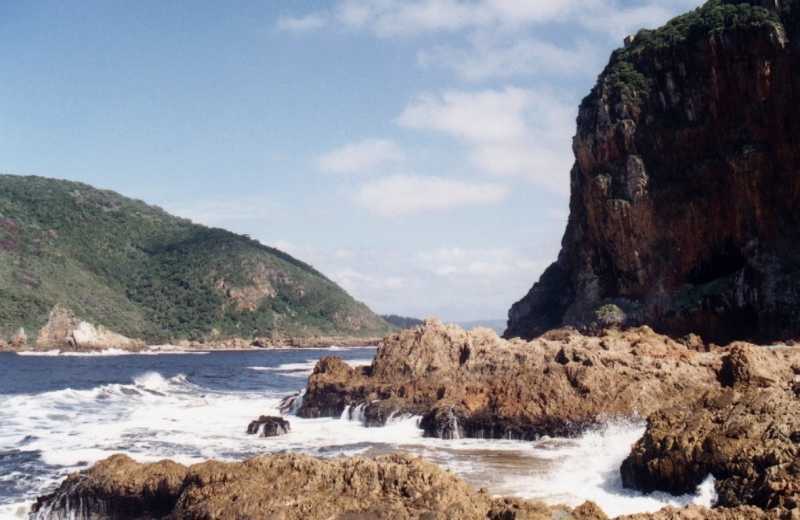 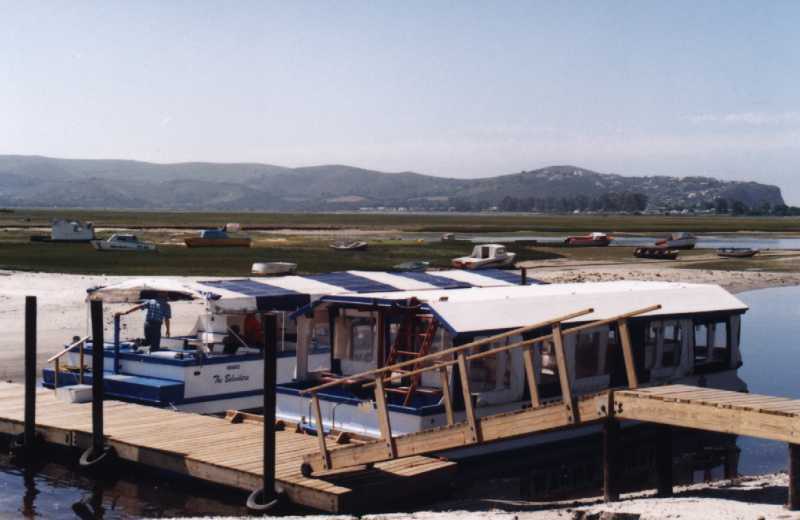 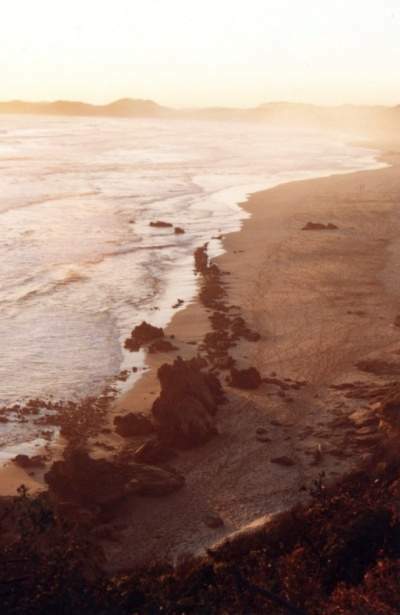 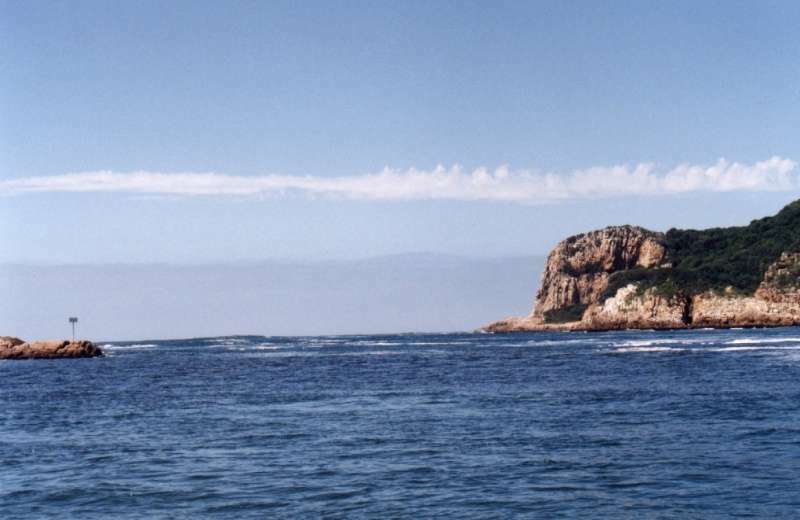 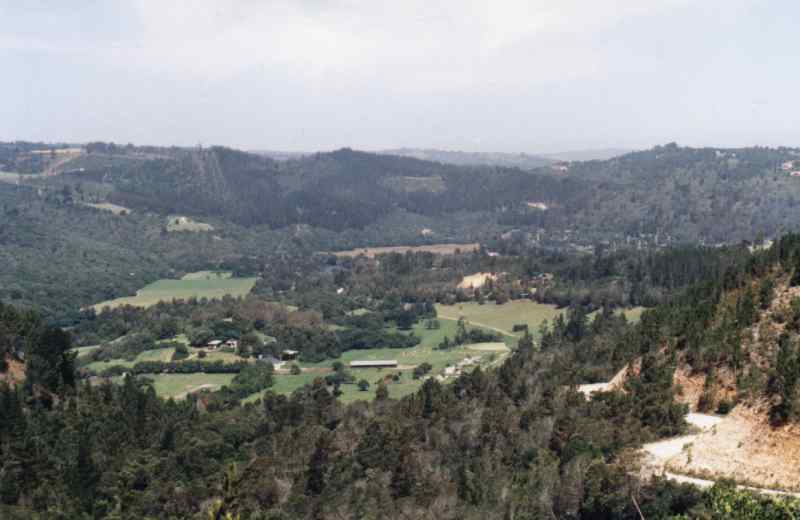 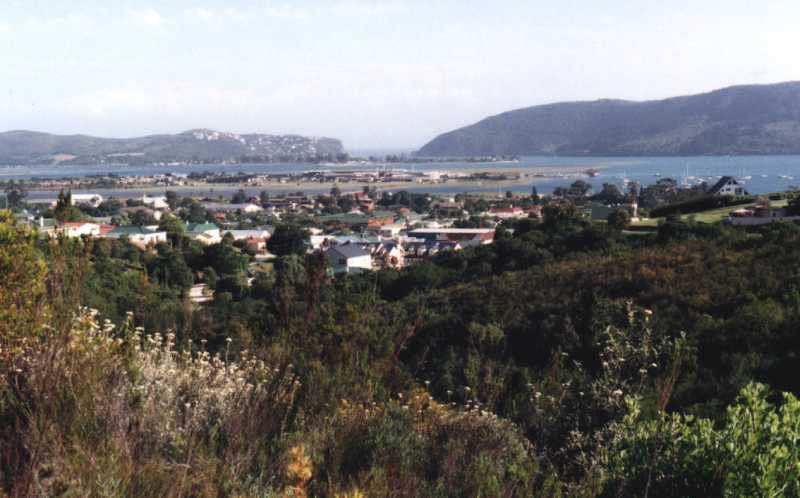 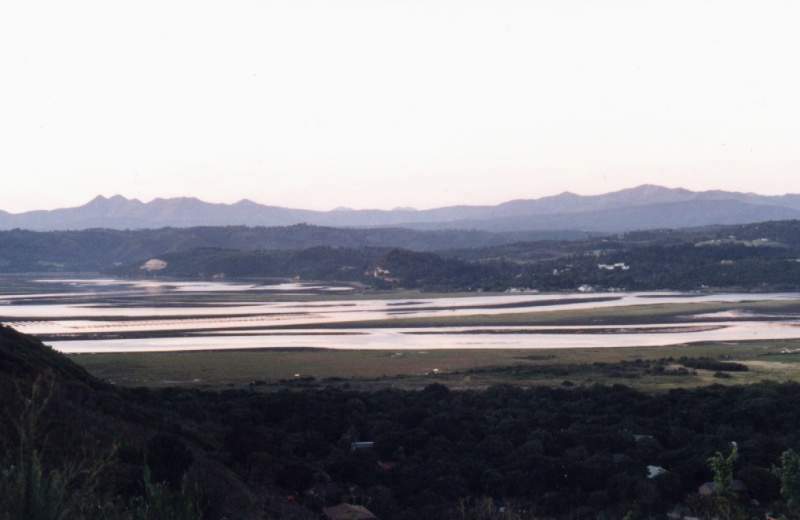 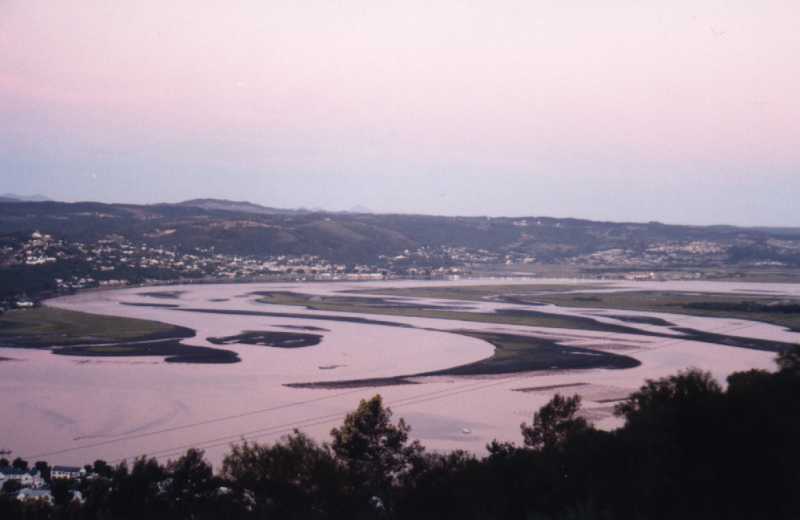 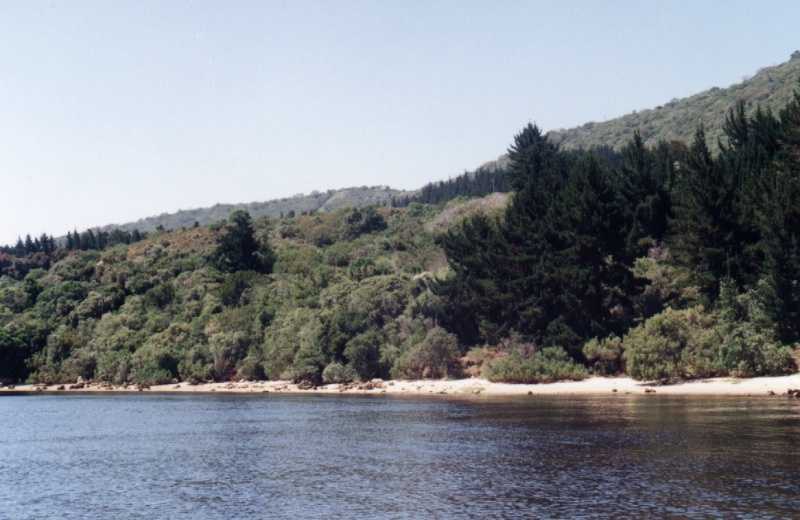 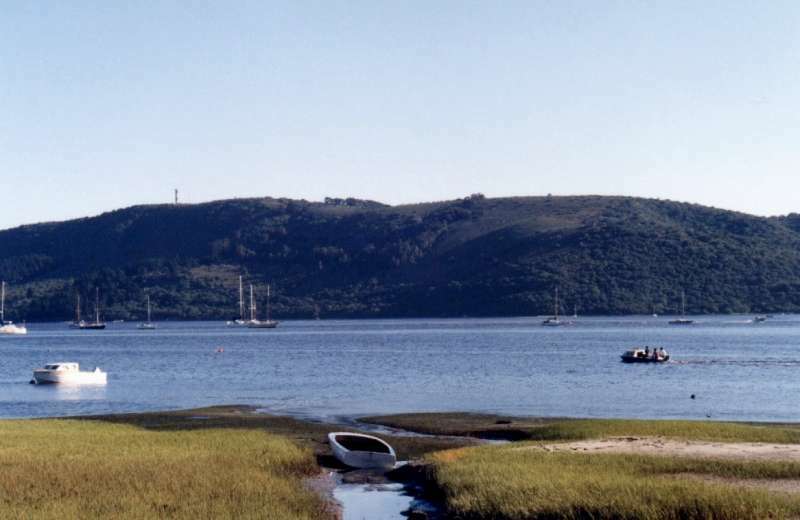 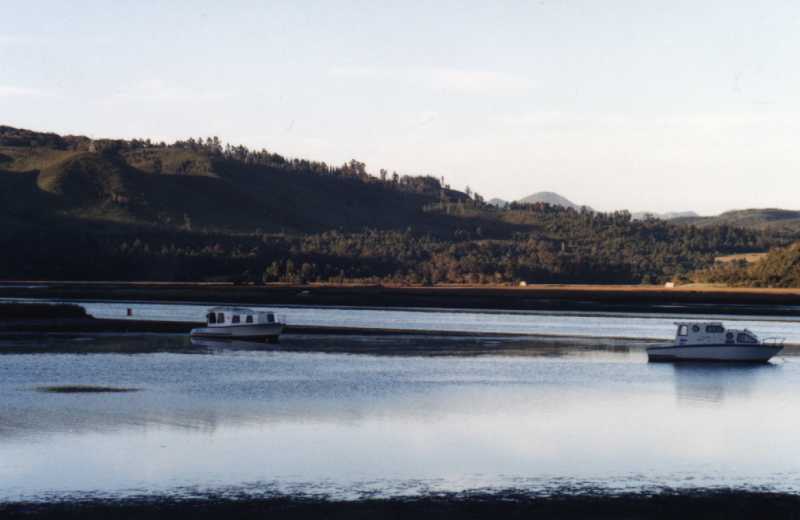 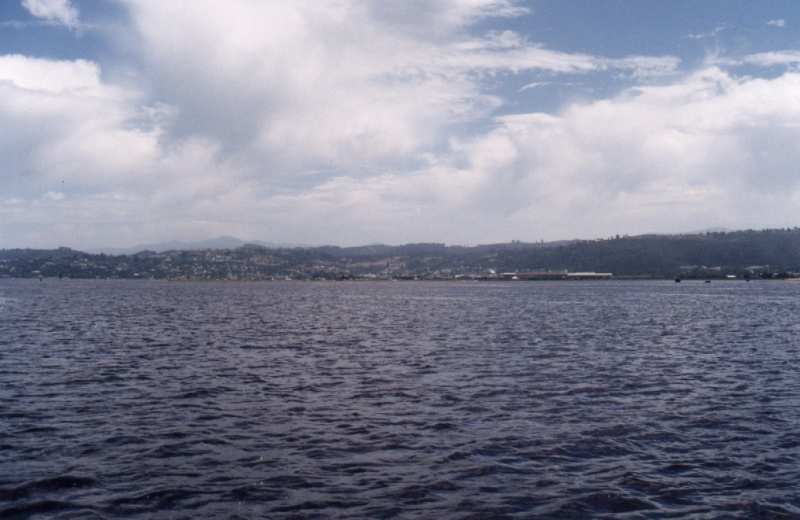 Click here to see a wide angle view of the Knysna Heads from the town centre.